At Smith Corona, our factory and our processes are designed around one core goal: to provide the best labels on the market at the absolute lowest price. We accomplish that through strategic process design, in-house manufacturing, and rigorous quality control. 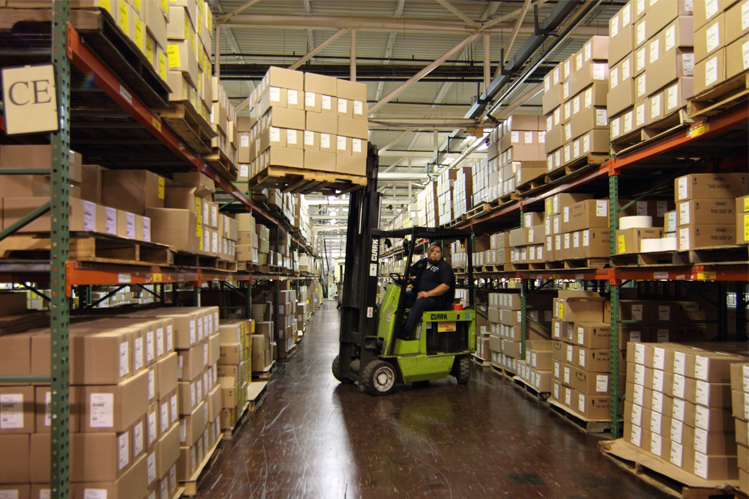 Everything takes place at our 330,000-sq-ft factory and warehouse in Cleveland, OH. At Smith Corona, we continually seek out new products and processes to improve the quality of our offerings and lower our prices. We test all of our materials rigorously to meet the requirements documented in our internal quality control plan. These self-imposed standards promote continuous improvement and reduction in product variation. The ultimate goal, which we accomplish every day, is total customer satisfaction. We source only the highest quality silicone, adhesive, and paper from all over the world. Our operation is scaled up to meet the high demand for our market-leading labels. 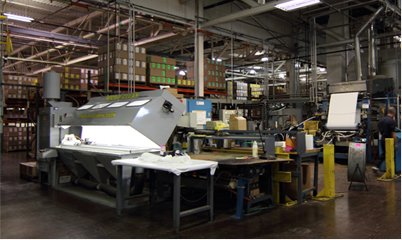 At any one time, we have over 515 million feet or 97,538 miles of labels and raw paper on hand. That's enough to wrap around the equator 4 times. We slit our paper ourselves to optimize your job efficiency. We use traditional and state-of-the art machines, including groundbreaking converting machines. 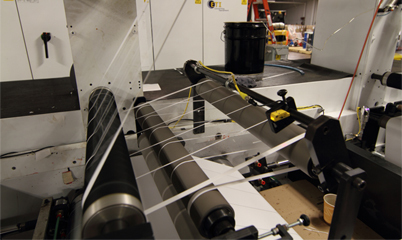 These allow us to convert raw materials into finished labels in one operation. They complete the finished product in a fraction of the time. That translates into incredible savings for us - which we pass on directly to you, our valued customer.